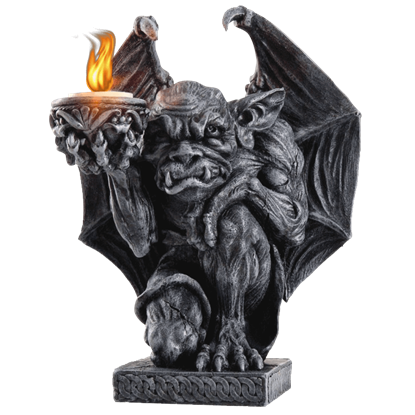 The Crouching Gargoyle Candleholder would make a great addition to any room of your medieval themed home or office. 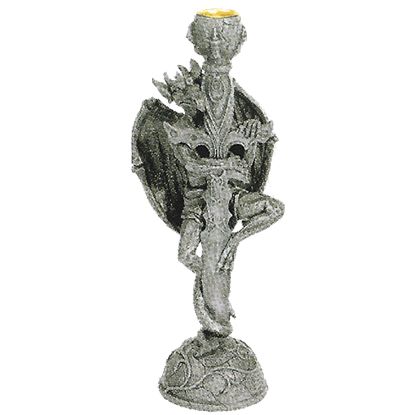 This candleholder features a sad gargoyle crouched down on a stone base that has been detailed with Celtic designs. A flickering flame can be mesmerizing. Once the eyes become fixed on the heat rising from the wick, it is easy to get lost in thought. 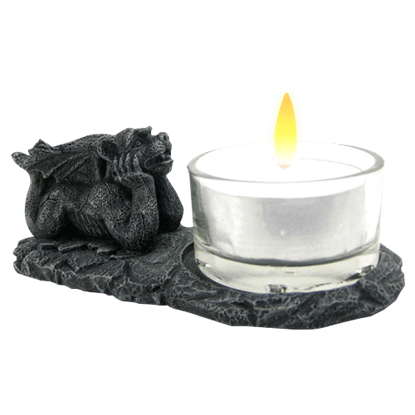 The Daydreaming Gargoyle Tea Light Holder could relate, if gargoyles werent made entirely of stone. Proper lighting is essential for any gothic abode. When the fires of hell just are not available, the Demon Claw Wall Sconce makes a fine accent to your grim decor. 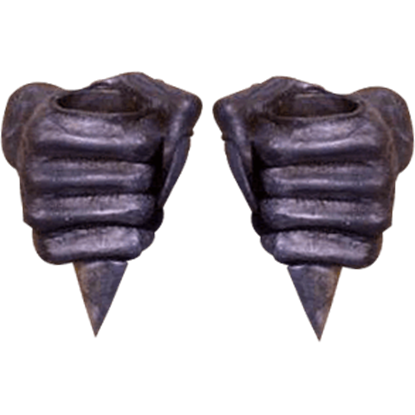 A glass candle holder is struck through the palm of the devil claw. What better way to light your home than with the fires of hell? 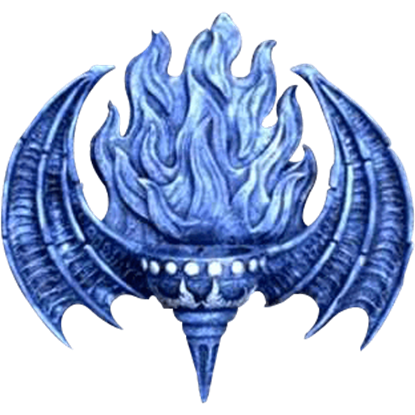 The Demon Flame Wall Sconce will give the walls of your hall a certain devilish flair. A bowl set within the decorative plaque is designed to hold a single small candle. Need a hand transforming your home into a gothic mansion fit for a lord of demons? 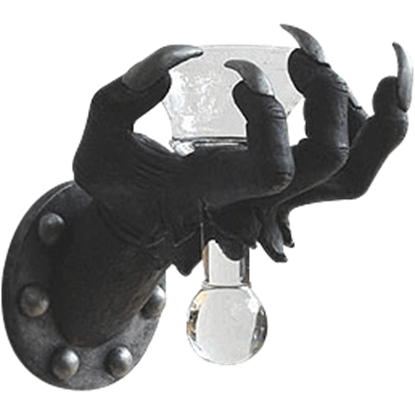 Then the Demon Hands Sconce Set is just what you need! Bring austere style and a touch of illumination when you set candles in these wall mounts. Felines are known to be fickle creatures until you have earned their affection. When that happens, they can become as fiercely protective as any canine. 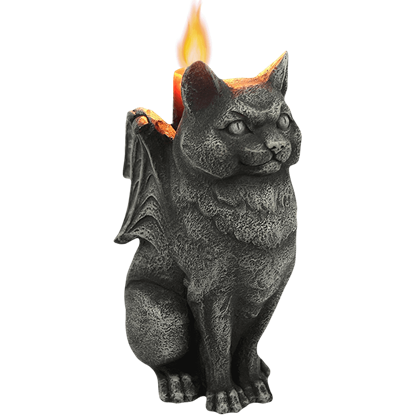 This is depicted magnificently in the Ferocious Feline Gargoyle Candleholder! 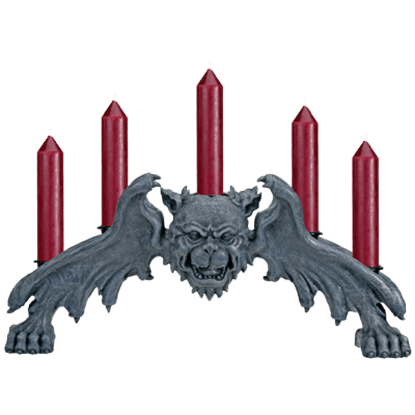 This gargoyle candleholder is made of resin and holds up to five tapered candles at one time. The sides of the arch are the wings of the gargoyle supported by the front feet. The center the candle holder is the face of the gargoyle. 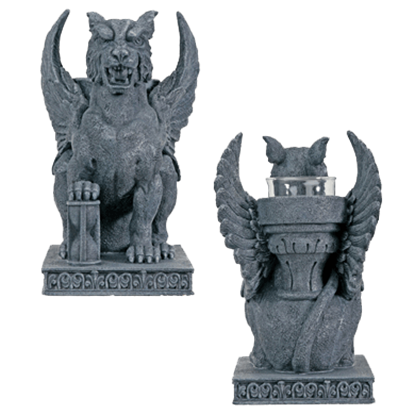 The Gargoyle Candleholder provides a great option for adding atmosphere to your home decor. This gothic candlestick holder displays a winged chimera peering around the side of the detailed sword that it grips. 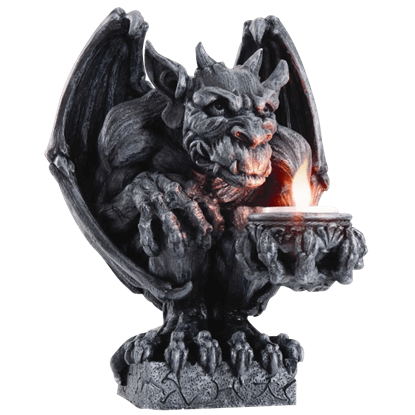 The Gargoyle Candleholder features a gargoyle crouched down on a ledge holding a stone bowl. His wings are closed in around him and his bowl holds a tealight candle. This statue is made of cold cast resin and measures 8.5 inches tall. Some legends say gargoyles ward off evil. 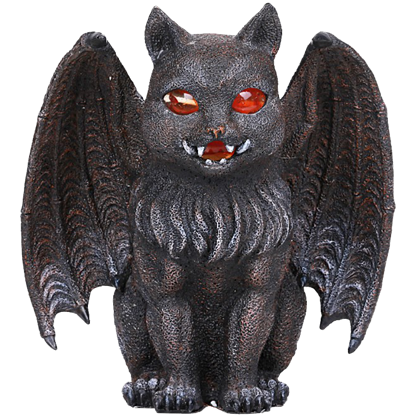 Equal parts eerie and adorable, the Gargoyle Cat Candle Holder is a cute way to welcome gargoyle style into your home decor. This gargoyle decoration is hand painted a dark stone grey. A prestigious lion gargoyle boldly sits upon this platform trimmed in medieval symbols. With his wings back, eyes peering at you, and mouth open he proudly displays an hourglass under his right paw. This grotesque creature accents the steeples of great cathedrals and guards the towers of ancient castles. 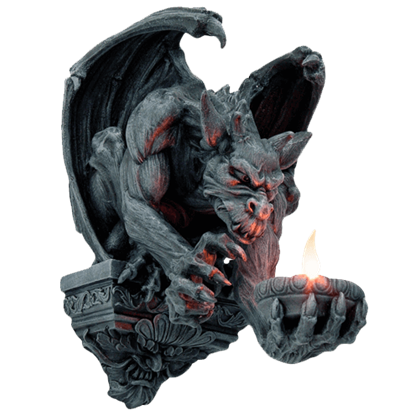 The Gargoyle Wall Candleholder will illuminate the dark halls of your abode, creating the gothic atmosphere that you seek.